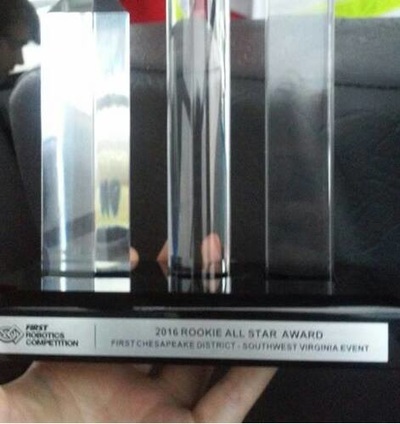 Celebrates the rookie team exemplifying a young but strong partnership effort, as well as implementing the mission of FIRST to inspire students to learn more about science and technology. 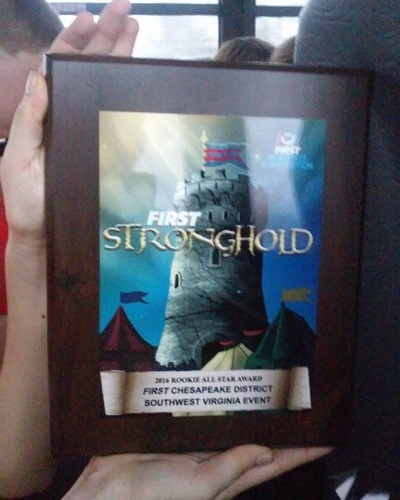 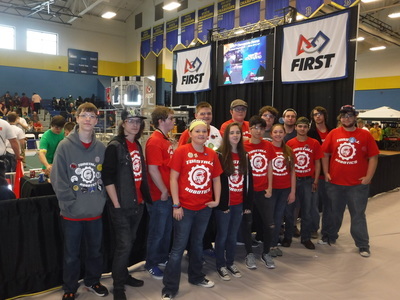 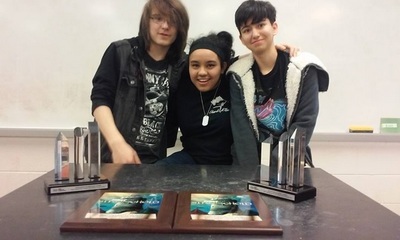 On March 11-13, Team 5950 competed in Blacksburg Virginia. We ended up in 17/39 place and scoring the most out of any rookie team. We were awarded the Rookie All-Star award for inspiring students to learn more about science and technology.